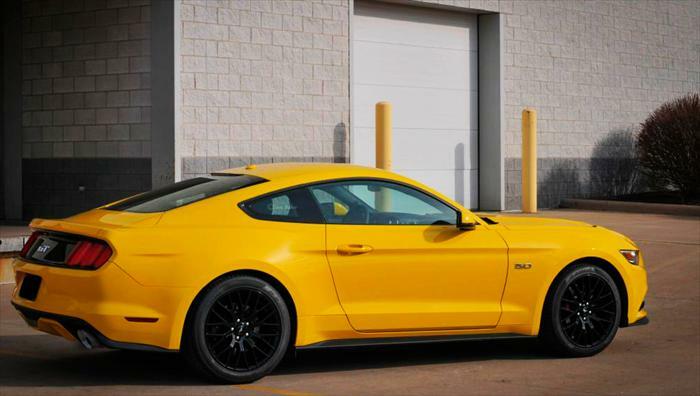 2015-2017 Ford Mustang GT 5.0 V8 Coupe Corsa Sport Axle-Back Exhaust5victor westhallDecember 29, 2015Delivery was on-time and installation went very smooth for the installer. The sound is awesome..my Mustang GT now is more aggressive when accelerating, but quiet when cruising. The part number for this Corsa Exhaust is: 14326 and it fits 2015-2017 Ford Mustang GT 5.0 V8 Coupe models. This Exhaust has a 3" diameter and Single 4.5" Polished tips.